Located on Bangkok City’s Sukhumvit Road, S33 Compact Sukhumvit Hotel is a 7-minute walk from Prompong BTS Skytrain Station. 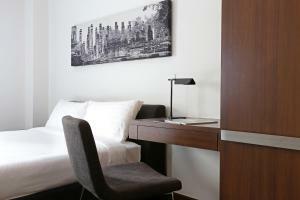 It houses a coffee shop and stylish rooms with a flat-screen TV and free WiFi access. S33 Compact Sukhumvit Hotel is a 10-minute drive from Queen Sirikrit Convention Centre and a 45-minute drive from Suvarnabhumi International Airport. Fitted with tiled flooring, the modern air-conditioned rooms at S33 Compact Sukhumvit Hotel are equipped with a personal safe. Private bathrooms come with bathrobes and slippers. Members of staff at the 24-hour front desk can assist with airport shuttle, luggage storage and laundry services. Drivers can park on-site for free. Shuttle service to BTS Phrom Phong Station is offered free of charge. Please note that free shuttle service to BTS Phrom Phong Skytrain Station is offered at the property. Guests are advised to contact the property directly if they wish to make use of the service. Larger air-conditioned room features a flat-screen TV, refrigerator and personal safe. Free toiletries are included in an en suite bathroom. Slippers and bathrobes are provided. There is no capacity for extra beds. 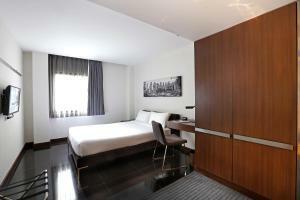 Offering more space than Superior Room, air-conditioned unit features a flat-screen TV, refrigerator and personal safe. Free toiletries are included in an en suite bathroom. Slippers and bathrobes are provided. 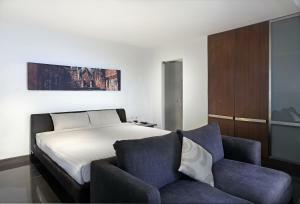 Spacious air-conditioned room features a flat-screen TV, refrigerator and personal safe. Free toiletries are included in an en suite bathroom. Slippers and bathrobes are provided. Air-conditioned room features a flat-screen TV, refrigerator and personal safe. Free toiletries are included in an en suite bathroom. Slippers and bathrobes are provided. This single room has air conditioning, tile/marble floor and bathrobe. This single room has a sofa, seating area and cable TV. This single room features a bathrobe, air conditioning and tile/marble floor. Rate: THB 1451.00 ... THB 4178.80; select dates below to get current rates. This single room features a seating area, sofa and air conditioning. This single room is located on the ground floor. This twin/double room is located on the ground floor.